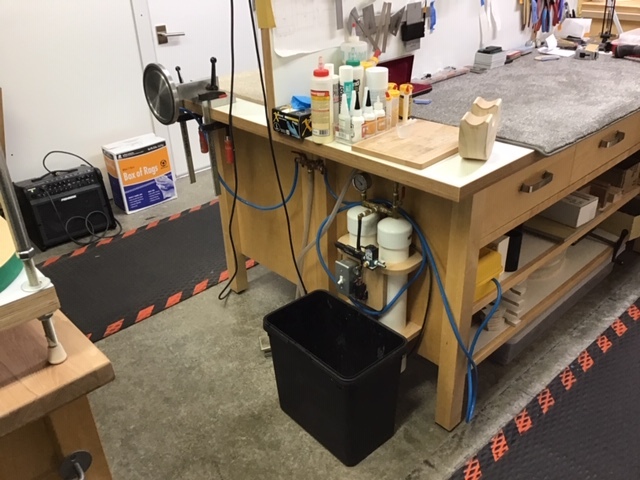 Our workshop is in the basement of our home, a block or so from Aldrich’s grocery in Uptown Port Townsend. It’s a real joy grabbing a cup of coffee and heading to work, especially since work is only a few short steps away from our kitchen. It’s a pretty rough commute! 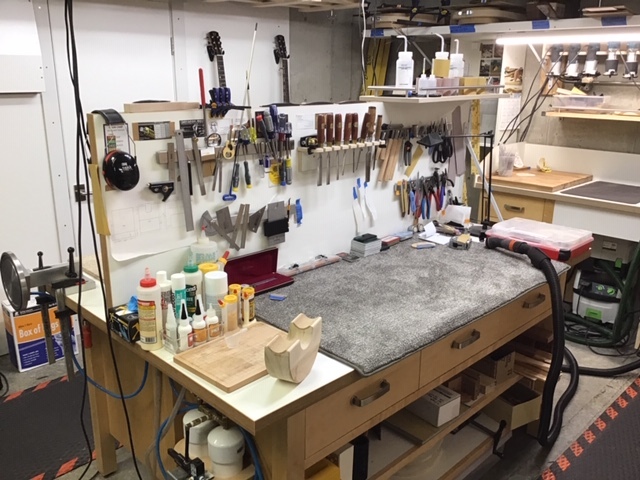 As you can see in the photos, the shop is very compact. It really isn’t set up for doing anything but building instruments. This gallery of templates representing our 5 current body shapes. All are available with a Venetian cutaway and/or a Manzer Wedge. This is where our Venturi Vacuum Tank, Vacuum Work Holder, and Vacuum Bridge Clamp live. We use two Go-Bar Decks (set at different heights), allowing us to brace tops and backs at the same time as gluing on the rims. This is our Side Bender, which is loosely based on a Fox Bender. The advantage of our design is that it adjusts to fit just about any body shape. For instance, we have bending forms for Baritone Ukuleles and a new Guitar-Body Octave Mandolin. This is another time-saving tool we made. With few exceptions our guitars have a 30’ Top Radius and a 15’ Back Radius. It used to take us hours to radius the rims; now it’s 3-4 minutes. 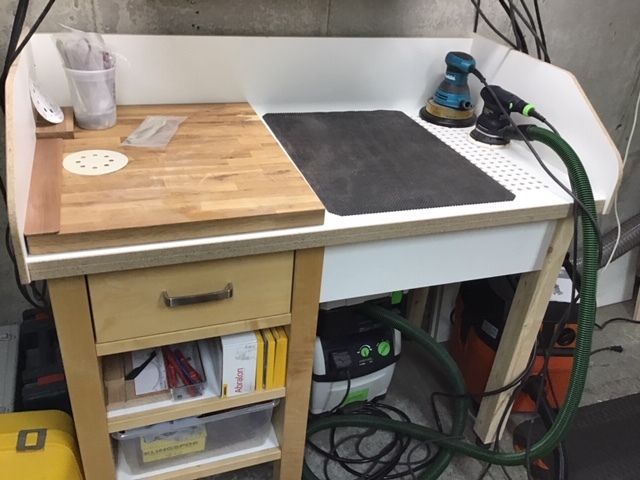 As with most of our work stations, it also has dust collection. This is our Buffing Station. It has dust hoods which really help. Buffers are very messy! These are our most often-used Routers. Michael hates changing bits in the middle of an operation! ANSWER: More Routers! This is a shot from the East. 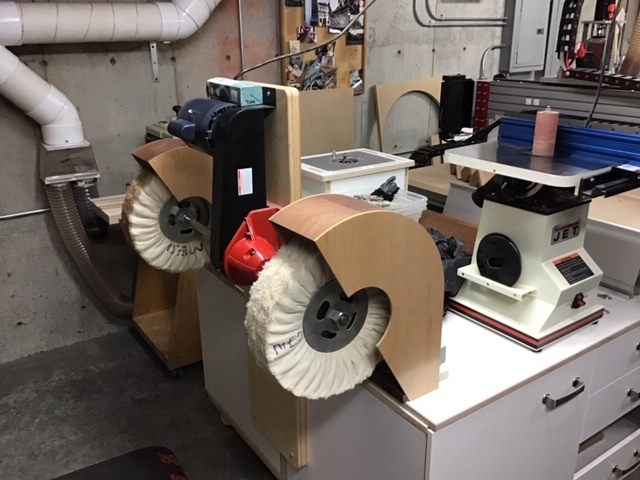 We used to have a big Cabinet Saw, a 20” Planer, and more big stuff. You just don’t need the capacity when building guitars! Worth every penny! The filter is a MERV16 which handles 99.9% of all particles down to 0.3 microns. We use our CNC (Computer Numeric Control) on many of the more repetitive operations. We also use it to process our fretboards: we cut the outside profile, fret slots, fret marker pockets, and also cut the radius into the board. It’s the interface. It’s helps if its right!